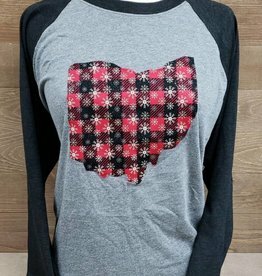 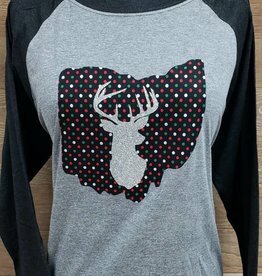 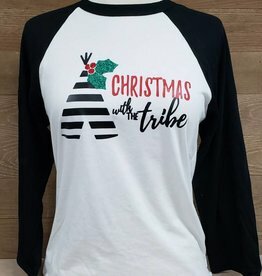 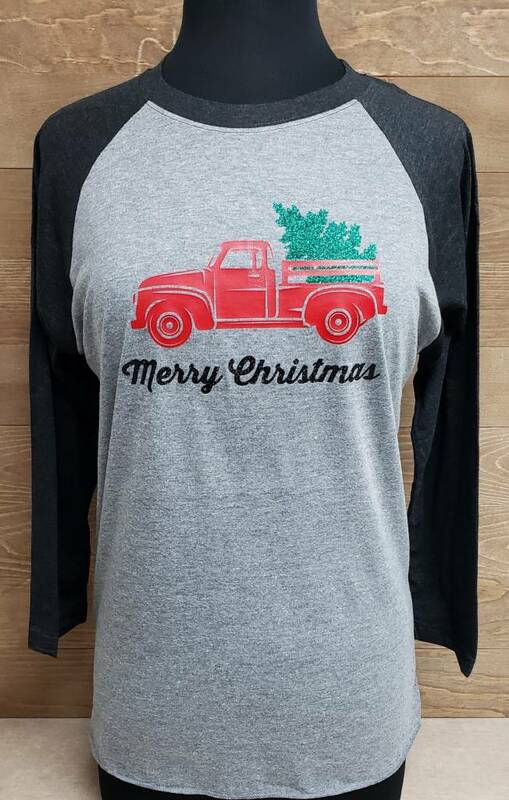 Red Truck Christmas Baseball Tee was originally $36, remaining stock marked down to $18. 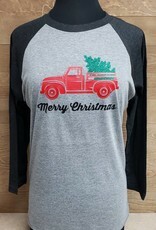 Vintage red truck with Christmas tree and black Merry Christmas script. 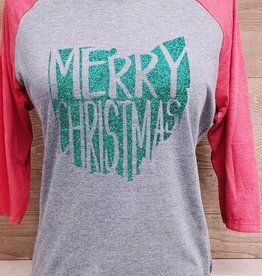 Baseball style tee with black 3/4 length sleeves and grey body.